As someone who teaches film studies at the college level, I’m sorry to say that I think a lot of academic film writing is garbage. Too much of what passes for “serious” film writing is nothing more than literary theory — particularly as it relates to Freud and/or Marx — imported wholesale by academics who lack a thorough knowledge of film history and aesthetics. For some classes I am, unfortunately, forced to teach from such books from time to time. (If I have a say in the matter, I always use Film Art or Film History by David Bordwell and Kristin Thompson, two keen analytical writers and true cinephiles whose work straddles the line between academic and mainstream film criticism.) 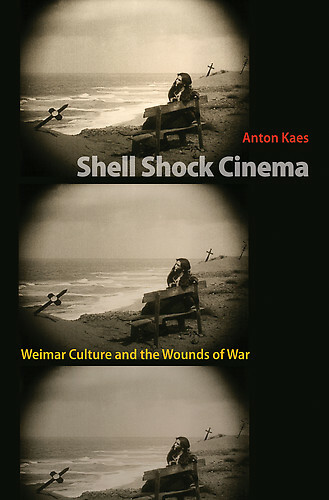 I mention all of this because I recently read a terrific film studies book that I could not recommend more highly: Shell Shock Cinema by Anton Kaes. Not only is this academic study an impeccably researched work of scholarship, it also offers penetrating and new insights into its subject matter — the massively influential and already much-written about movies of Germany’s Weimar era. More specifically, Kaes persuasively argues that several key works of what is often-termed “German Expressionist cinema,” a phrase the author barely uses, can be seen as coded responses to the first World War. This reverses the trend of most academic writing about silent German film, which, following the lead of the critic Siegfried Kracauer, has tended to view the masterpieces of Expressionism as harbingers of the rise of Nazism. Kaes’ view that Weimar-era movies were looking back rather than forward makes so much sense that one wonders why it took 80-odd years for someone to mount such an argument. Kaes’ book is structured around a close reading of four movies: Robert Wiene’s The Cabinet of Dr. Caligari (1920), F.W. Murnau’s Nosferatu (1922), and Fritz Lang’s Die Nibelungen (1924) and Metropolis (1927). Proceeding in chronological order, Kaes shows how each of these films can be seen as “entities that arise from and exist in concrete historical moments; that supply aesthetic responses to economic, social, political, ideological and institutional determinants; and that still resonate with us today.” Kaes makes good on this claim by specifically analyzing how all four films feature characters who seem to be exhibiting the symptoms of “shell shock,” a then-new and controversial neurological disorder occurring in soldiers who had participated in the first “technological war.” Many German government officials apparently felt that shell-shocked soldiers were mere “malingerers” who were faking psychological illnesses as a means of avoiding having to serve in the front lines. “War psychiatrists” were then brought in to essentially debunk the shell shock phenomenon, sometimes administering electroshock therapy to its sufferers — not so much to “cure” them than to scare them into agreeing to return to active duty. Is it any wonder then, Kaes asks, that the villain of The Cabinet of Dr. Caligari is the evil director of a mental hospital who may be crazy himself? Or that the protagonist is a patient suffering from hallucinations induced by some unspoken trauma? If there is one flaw in Shell Shock Cinema it’s that this first provocative analysis is the most revelatory one in the book. In Kaes’ primary reading of Nosferatu, the mysterious title vampire — a character continually associated with the plague — and his apocalyptic arrival in the small (fictional) German town of Wisborg is analogous to the mass death that swept across the country during the Great War. Kaes sees real-estate agent Thomas Hutter’s voyage to Castle Orlock as representing a soldier’s journey to the “eastern” front, and his wife Ellen’s adventures back home as standing in for the homefront experiences of a typical soldier’s wife. But Kaes also wisely refuses to limit his analysis to this single interpretation and also considers that the plot may be read as a disturbing anti-Semitic metaphor for then-contemporary fears about the migration of Jews from Eastern Europe. (I personally don’t buy this interpretation but am glad the author chose to include it.) Kaes then moves on to Die Nibelungen, analyzing its two parts as a reflection of changing German attitudes towards the concept of wartime heroism (i.e., the first part, Siegfired, valorizes fallen soldiers and arguably glorifies war while the second, Kriemhild’s Revenge, offers a somewhat surprising corrective in that it underlines the pointlessness and insanity of revenge). 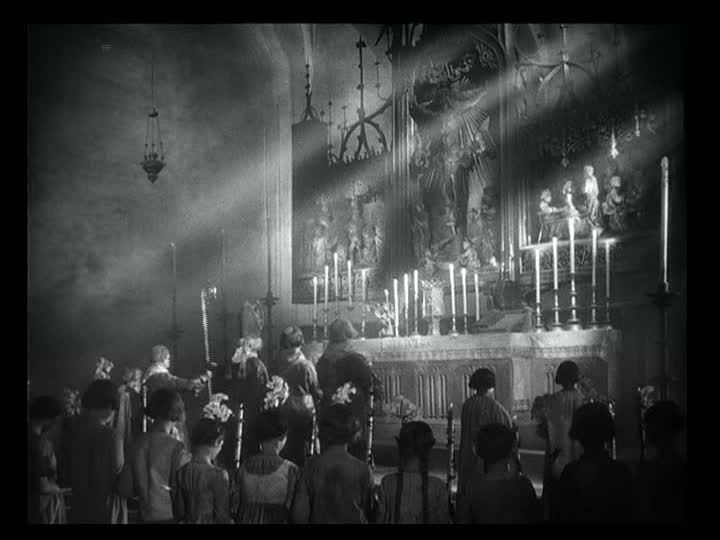 But Fritz Lang’s mythical period epic is also the film that seems to offer the most coded response to World War I and is therefore the book’s least interesting passage. 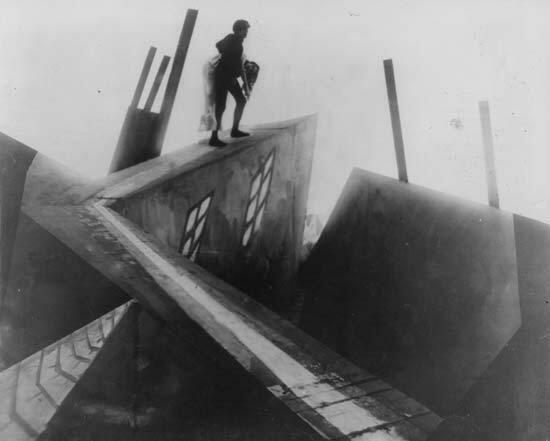 Things pick back up with Kaes’ climactic discussion of Metropolis, a notorious commercial flop on its initial release, which many historians see as representing the final nail in the coffin of German Expressionism. Here, Kaes invokes Karl Marx — in a manner wholly appropriate — in his analysis of Metropolis‘ class struggle as a kind of “industrial battle” in which the members of the working class are seen as human fodder for an insatiable war god. The analysis of this quartet of movies is followed by a swift conclusion that illustrates the connection between Weimar-era German cinema and American film noir, and a discussion of how the lessons of Expressionism remain relevant today. While Kaes could have undoubtedly viewed many other silent German movies through his shell-shocked lens — I think Murnau’s Faust, in particular, would’ve benefitted from the treatment — I applaud his decision to offer his theory as a primer rather than anything more exhaustive; not including the endnotes and bibliography, the entire text runs a succinct and imminently readable 216 pages. The fact that all four of the films under discussion are widely available on home video should only enhance the accessibility of Shell Shock Cinema: Die Nibelungen, Nosferatu and Metropolis have all been restored by the Friedrich Wilhelm Murnau Foundation and are available in splendid-quality Blu-ray editions (and Caligari, already available in a good quality DVD, will be released on Blu-ray following a new Murnau Foundation restoration later this year). As someone who devotes at least one class to teaching German Expressionism every semester, I am eternally grateful to Kaes and plan on using this text in future classes. Shell Shock Cinema is an ideal book for anyone — novices and experts alike — interested in one of the richest and most exciting periods in cinema’s history. 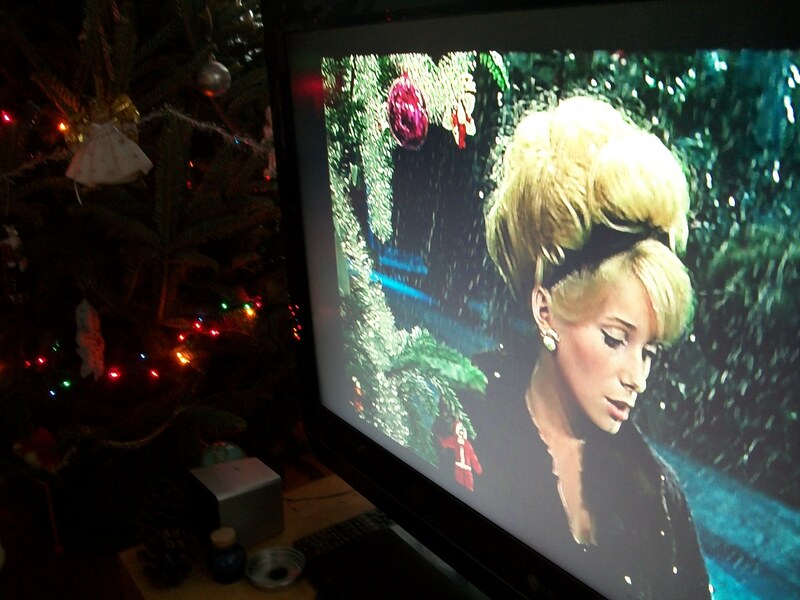 I’m breaking the list of my favorite home video releases from 2013 into two separate blog posts. Below are numbers 10 through 2 from my top 10 list (each with a capsule review), as well as a list of 20 runners-up favorites. Next week’s post will be devoted entirely to my numero uno favorite home video release of the year — for reasons that will become clear in due time. In recent years, the British Film Institute seems to have spearheaded an effort to raise awareness of silent British cinema in general, which I’ve been delighted to find is of interest beyond the earliest masterpieces of Alfred Hitchcock. One of my most pleasant film-related surprises of the past year was discovering the great silent movies of Anthony Asquith, an English director better known for his less-exciting sound-era work. 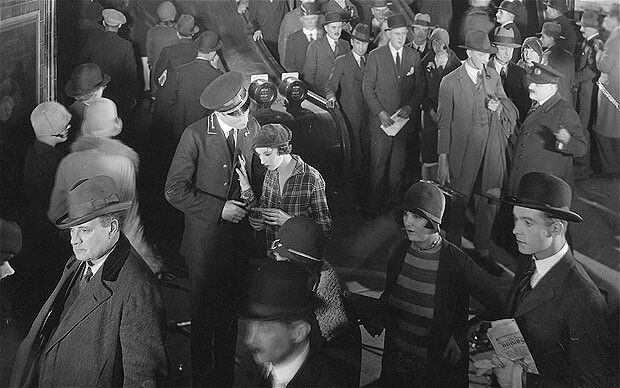 BFI’s home video division released a revelatory Blu-ray of Asquith’s second film, 1928’s Underground, back in June. The plot, a love triangle between a shop girl, a nice-guy subway worker and a douchebag power-plant employee, allows Asquith to indulge in some wondrous cinematic conceits — including astonishingly fluid crane shots during a protracted climactic chase scene — and offers a fascinating, documentary-like glimpse of “ordinary” Londoners from a bygone era besides. The image has been painstakingly restored (as evidenced by a short doc included among the extras) and the new orchestral score by Neil Brand sounds brilliant in a 5.1 surround-sound mix. 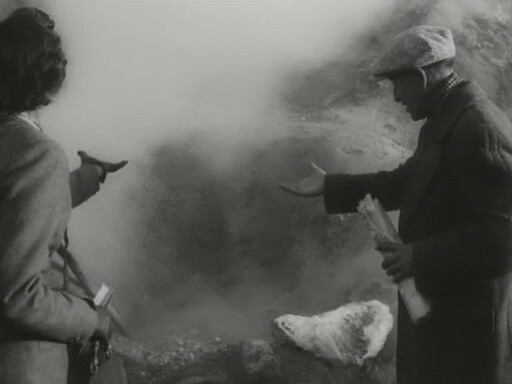 Can the Blu-ray release of the same director’s even better A Cottage on Dartmoor, a late silent from 1929, be far behind? 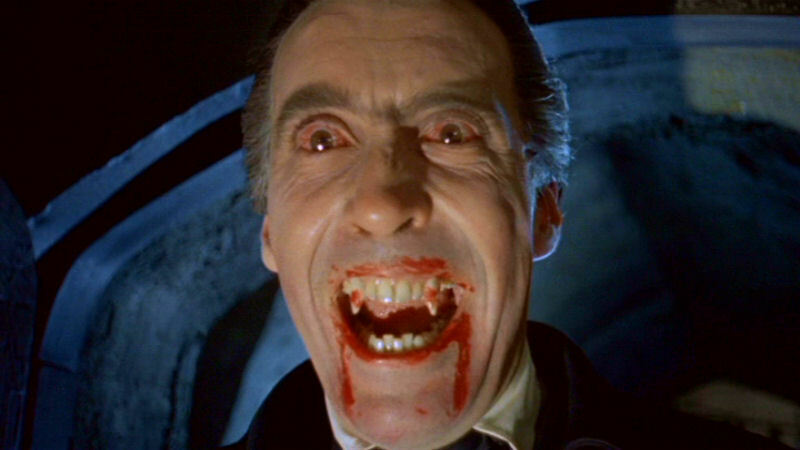 Did the three best vampire movies of all time receive Blu-ray releases in 2013? In addition to Kino’s Nosferatu release (on my runner-up list below) and Lions Gate UK’s Dracula release (number 10 above), UK-based Arrow Video dropped a superb version of Mario Bava’s 1963 horror anthology Black Sabbath, featuring “The Wurdalak,” the only film in which the legendary Boris Karloff played a bloodsucker. 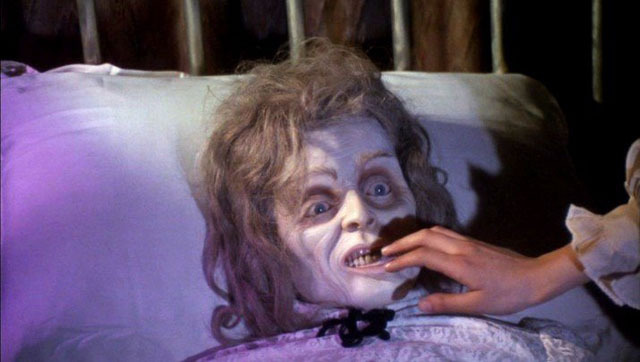 The other stories included here are the proto-giallo “The Telephone,” and “A Drop of Water” (the source of the unforgettable and terrifying dummy/corpse/prop pictured above). Arrow’s extras-laden Blu-ray includes two radically different versions of the film (the European and American cuts), audio commentary by Bava expert Tim Lucas, a handsome collector’s booklet, a DVD of the movie, and more. Most importantly, it is the most faithful home video transfer Black Sabbath has ever received, which is so crucial for a director with as precise a sense of color-timing as Bava (Kino’s Blu-ray, also released this year, skews unnaturally green by comparison). A must-own for Bava fans. Kino/Lorber and the Blu-ray format have proven to be a match made in heaven, and the company’s release of Erich von Stroheim’s masterpiece Foolish Wives is one of their finest releases to date. 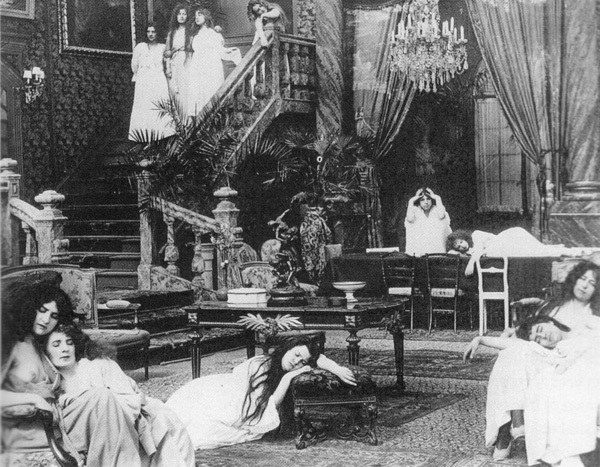 The Stroheim legend in many ways begins with this 1922 super-production, widely credited as the first “million dollar movie.” A delightfully decadent melodrama starring Stroheim himself as a monocled fake-aristocrat out to seduce and swindle the wife of an American diplomat stationed in Monte Carlo, Foolish Wives was brutally cut down by MGM executives from multi-hour epic status to a runtime of less than two hours for its original theatrical release. According to Kino’s press materials, the Blu-ray was “mastered in HD from an archival 35mm print of the 1972 AFI Arthur Lenning restoration” and runs 143 minutes. The quality varies, sometimes from shot to shot, as this restoration was clearly cobbled together from prints of varying quality but, my God, am I glad to have this. 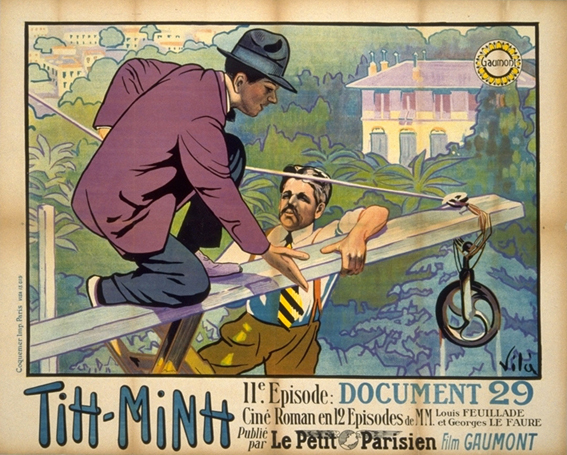 With its “innocents abroad” characters, nefarious criminal plots involving devious impostors, and potent, barely-concealed eroticism, this is as close as the American cinema ever came to the serials of Louis Feuillade. 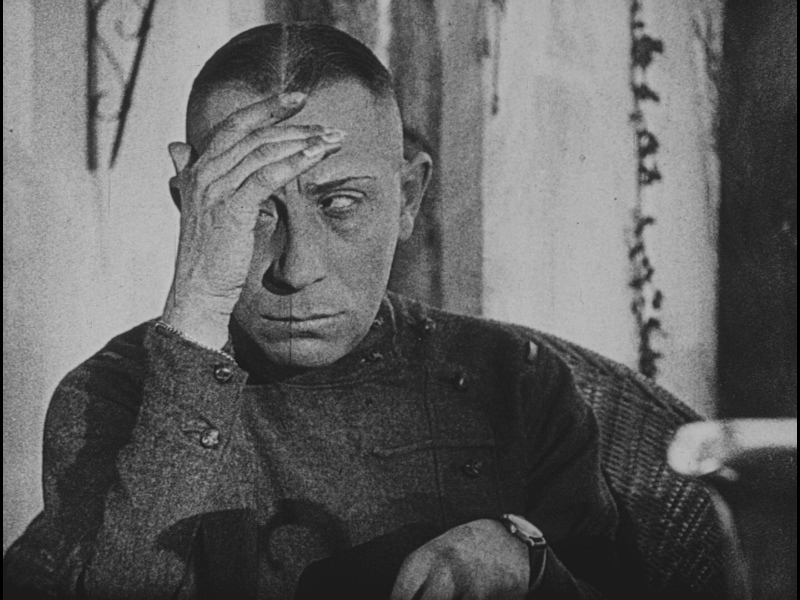 Also included as a very welcome bonus is The Man You Love to Hate, an informative, feature-length documentary on Stroheim made by Patrick Montgomery in 1979, which has also been newly remastered in HD. Now where’s Greed? I had never bothered picking up the Eureka/Masters of Cinema DVD of F.W. Murnau’s great final film and was therefore only previously familiar with the serviceable Milestone DVD, which is both missing footage and in the wrong aspect ratio compared to the restoration that has served as the basis for Eureka/MoC’s releases. It was therefore quite eye-opening for me to see the German maestro’s gorgeous tone-poem of a movie as close as possible to the way it was meant to be seen via this new Blu-ray. 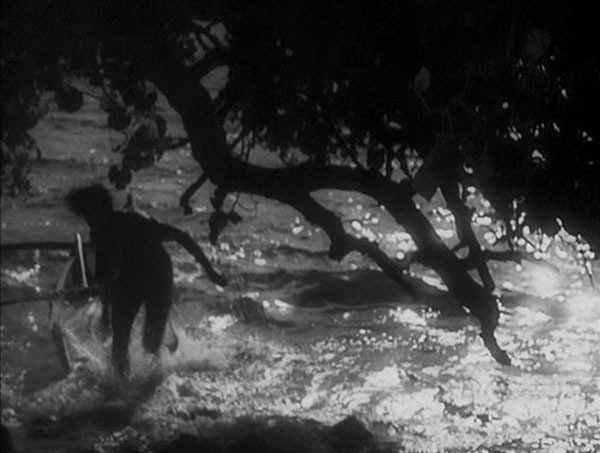 Murnau had become disillusioned with both the mainstream German and American film industries when he went to Tahiti to independently make this tale of doomed love set among native islanders. He couldn’t have known it would be his last production (he died in a car accident shortly before its premiere) but the movie in general — and its haunting final scene in particular — serve as a fitting epitaph for the career of the man known as the best director to have only worked in the silent era. 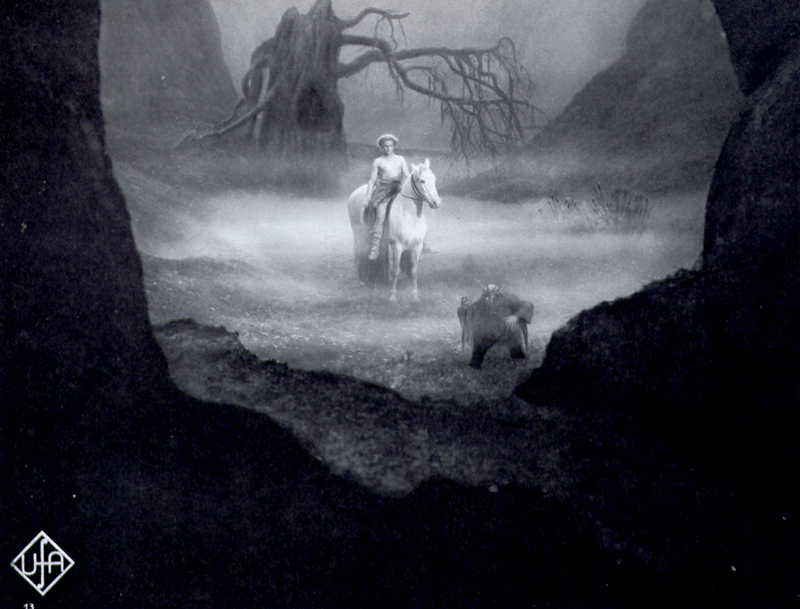 The images on Masters of Cinema’s Blu-ray have a silky, silvery quality that fully does justice to the lyrical intentions of Murnau and his cinematographer Floyd Crosby (who deservedly won an Oscar for his work on this film). In less than a year, Cohen Media Group has established itself as a major new player in the U.S. home video market. Among their welcome 2013 releases were invaluable editions of Luis Bunuel’s Tristana and Raoul Walsh’s Thief of Bagdad but my absolute favorite title in their catalogue is this stellar new Blu-ray of D.W. Griffith’s Intolerance. One of cinema’s great mad follies, this quartet of stories about “love’s struggle through the ages,” which intercuts boldly and freely between different countries and centuries in order to show the tragic universality and timelessness of the title subject, looks as mind-blowingly fresh today as it must have in 1916. What’s new is Cohen’s admirable adherence to Griffith’s final cut of the film (the great director continued to tweak it well into the 1920s), which runs about 30 minutes shorter than the previous Kino DVD version; in other words, you definitely want to pick this up but don’t get rid of your old DVD either. 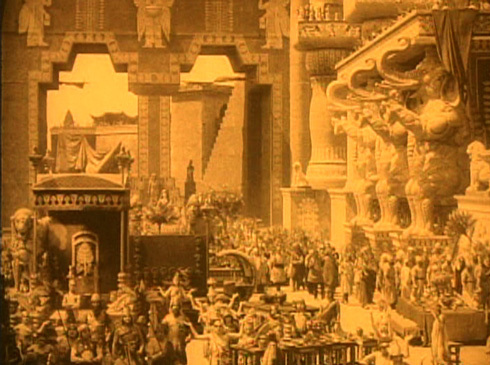 Among Cohen’s many welcome extras are two of the segments edited by Griffith himself into stand-alone features (both of which feature footage not included in Intolerance). Essential. MGM’s prestigious production of King Vidor’s 1926 anti-war epic was the most commercially successful film of the entire silent era. For some reason (undoubtedly related to “rights issues”) it has never been released on DVD in the States but finally received its belated digital debut via Warner Bros.’ Blu-ray this past fall. And it was worth the wait: this is the single best-looking release of any silent movie I’ve ever seen on any home video format (besting even the superb Eureka/Masters of Cinema release of F.W. Murnau’s City Girl from a few years ago). I’ve never seen a silent film — and I watch them all the time — look so pristine and so blemish-free. For God’s sake, I own Blu-rays of movies originally made in the 21st century that look worse than this (ahem, The Assassination of Jesse James by the Coward Robert Ford). 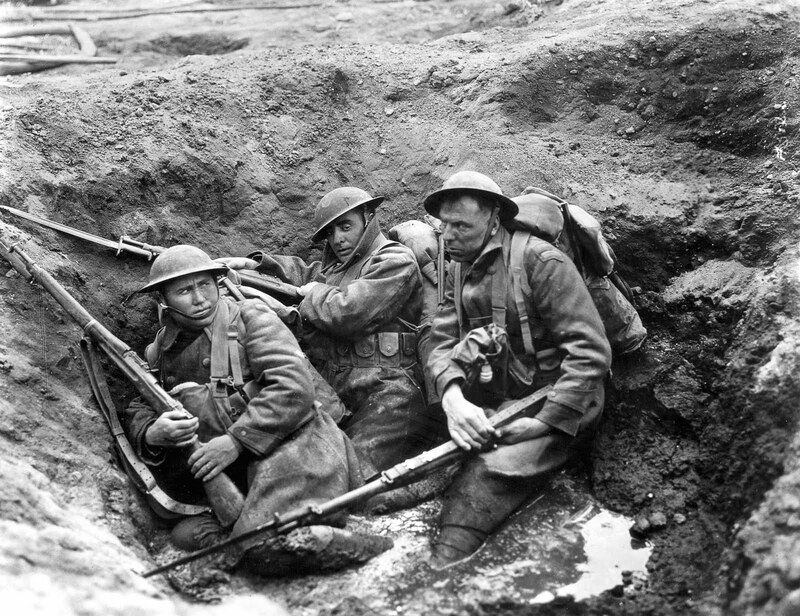 The movie, a unique blend of broad comedy, heartfelt romance and tear-jerking tragedy, follows the experiences of John Gilbert’s American soldier before, during and after World War I, and is absolutely worthy of this impeccable restoration (allegedly taken from the original camera negative). One hopes that this release will be successful enough to encourage Warner Bros. to release the other classic MGM silents they control — including Vidor’s supreme masterpiece, The Crowd. Roberto Rossellini had already revolutionized the movies with his pioneering Italian Neorealist efforts in the 1940s before he single-handedly gave birth to the modern European art cinema with the second phase of his career — a cycle of five films starring his new paramour Ingrid Bergman — in the early 1950s. The Criterion Collection’s gorgeous, extras-stacked box set collects the three best Rossellini/Bergmans into one essential package. In Stromboli, Bergman is a Latvian woman who marries an Italian fisherman in order to escape a refugee camp after WWII. She soon finds life intolerable in his small village, which is located at the foot of (and threatened by) a large, metaphor-rich volcano. 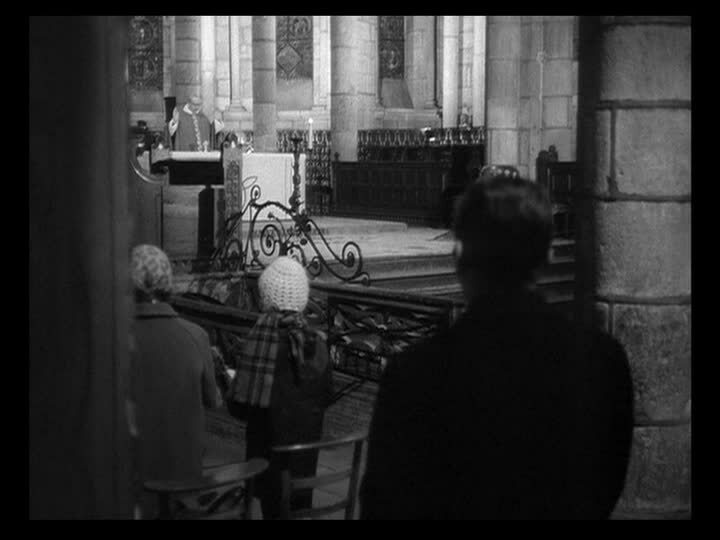 Europe ’51 explores the possibility of sainthood in the modern world as Bergman plays a mother who, grieving over the death of her young son, tries to live like a contemporary St. Francis of Assissi but winds up in a mental hospital instead. 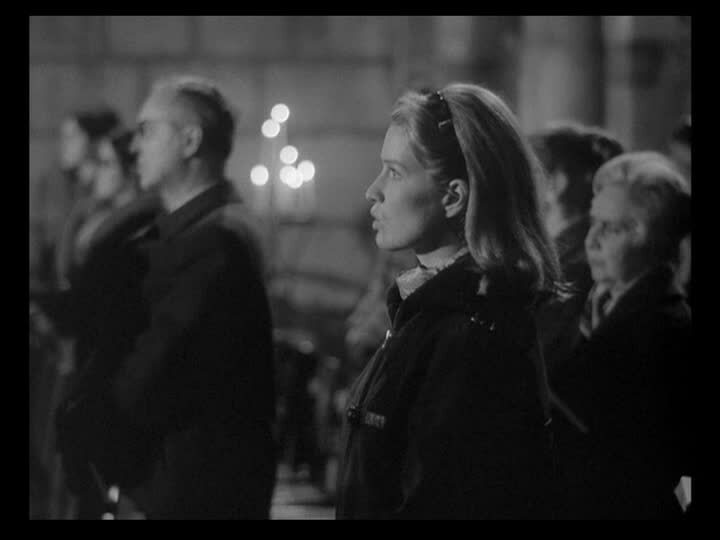 This shattering film features what may be Bergman’s best performance. 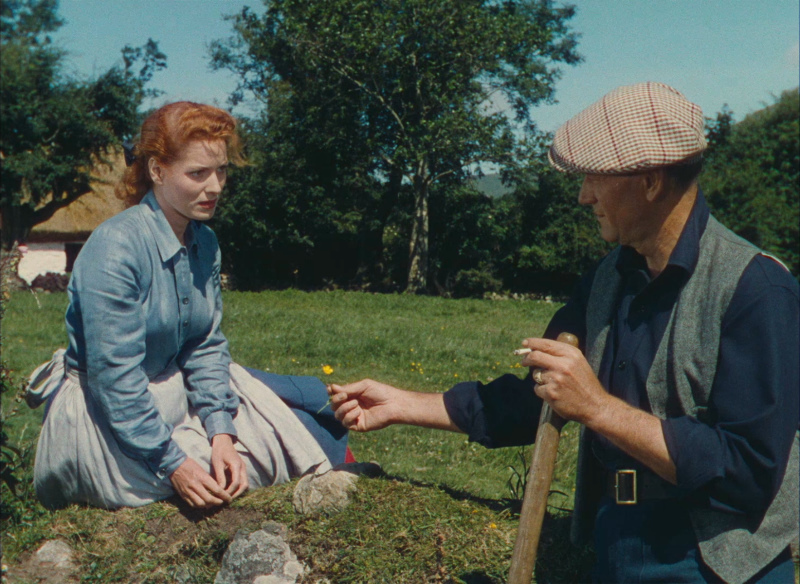 Journey to Italy is quite simply one of the finest movies ever made: Bergman and George Sanders are an eight-years-married couple, the Joyces, who travel to Italy to settle the estate of a recently deceased “Uncle Homer.” With idle time on their hands for the first time in years, their marriage crumbles. Just as James Joyce posited Ulysses as a modern psychological epic (and perhaps the only way to fittingly redo Homer’s Odyssey in the 20th century), Rossellini finds a filmic equivalent of Joyce’s prose (made explicit by a nod to “The Dead”) in a story where nothing happens on the level of “story” but everything happens inside of his characters. The result paved the way for, among other things, L’avventura, Le Mepris, Certified Copy and Before Midnight. Regardless of who you are, you should own this. 1. To Be Continued . . . In the past week, this blog has reached the milestone of having been viewed 100,000 times. To celebrate, I am posting a list of my favorite films of all time, one that I have been working on for what feels like forever. A wise man once said that favorite movies were always the hardest to write about and, after compiling the list, I heartily concur. I worked mighty hard to write the capsule reviews of my ten favorite movies that you’ll find below, attempting to nail down exactly what qualities they possess that has made them so impactful to me from points of view both personal (as an “ordinary” movie lover) and professional (as a film studies instructor and blogger). Below the list of my ten favorites you will also find a list of 200 runners-up that has been divided into eight groups of 25 in descending order of preference. This highly personal list, which is actually a list of my 210 favorite movies, has literally been a lifetime in the making. I hope you enjoy it. In F.W. 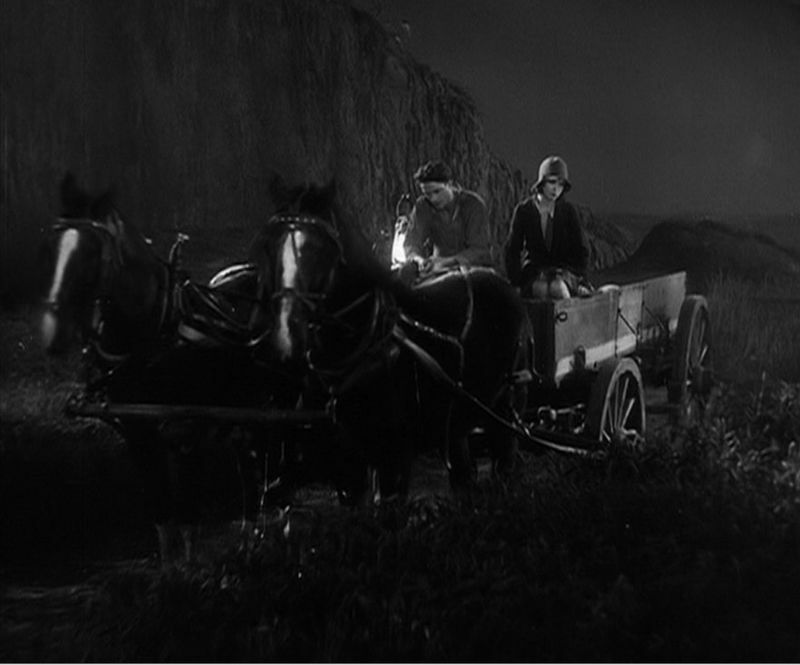 Murnau’s lyrical, late-silent masterpiece, a farm boy from Minnesota travels to Chicago to sell his family’s wheat crop. He unexpectedly returns home with a new bride, an event that threatens to fracture his relationship with his skeptical parents who regard his big city wife as a shameless gold digger. This begins as an unforgettable portrait of urban loneliness (Mary Duncan’s title character keeps a fake bird in a cage as a pet) before moving to the wheat fields of Minnesota for some of the most gorgeous pastoral imagery ever captured on celluloid. Murnau knew how to put emotion into camera movement, something that is very difficult to do, and that skill is more evident in City Girl than any of his other considerably estimable films. Jacques Rivette and Suzanne Schiffman’s legendary 12-and-a-half-hour serial is Feuillade made modern, where the directors use an expansive running time to tell various mystery stories, most of them unresolved, which also serves as a psychic x-ray of the 1960s French counterculture and the apotheosis of the entire Nouvelle Vague. 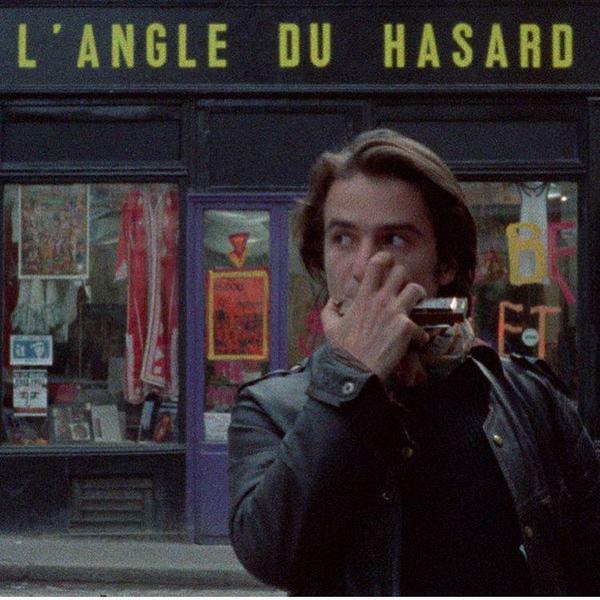 Rivette and Schiffman intercut between four different plots: two seemingly unrelated theater troupes rehearse different Aeschylus plays while two seemingly unrelated con artists (Jean-Pierre Leaud and Juliet Berto) ply their trades in the cafes and streets of Paris. The con artists each receive information about “the 13,” a secret society with its origin in Balzac that may or may not currently exist. 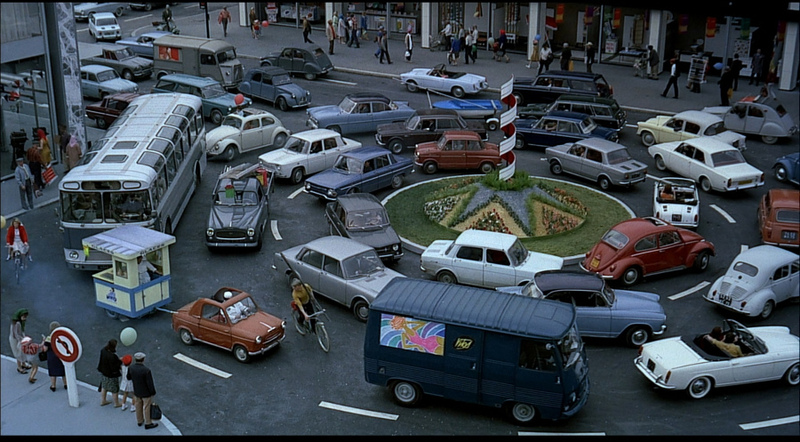 Their investigations lead them to interact with various members of the theater troupes as Rivette and Schiffman slowly bring their narrative threads together and reminds us why paranoid conspiracy theories not only exist but are paradoxically comforting: they make us feel that disparate, unconnected events may be related and therefore part of a meaningful design. An intellectually vigorous, terrifying, funny, challenging and life-altering work. The Joyces (the incredible duo of Ingrid Bergman and George Sanders) are a married couple from England who travel to Naples to settle the estate of a recently deceased uncle. With the precision of a surgeon, director Roberto Rossellini shows how the romance has gone out of their marriage due to petty jealousies, mutual misunderstandings and a breakdown in communication. As the characters wander alone through Naples and nearby Pompeii, the viewer comes to realize that they do still love one another but are merely incapable of expressing it. Can a miracle save their relationship? This is the best movie ever made about marriage, a subtle, elegant, deeply spiritual film that uses the Italian landscape, both urban and rural, and the inexorable pull of ancient history to comment on the possibility of love in the modern world. Yasujiro Ozu’s supreme masterpiece tells the story of an elderly Japanese couple who travel from their rural hometown to visit their grown children in the title city, only to find that their children don’t have much time to spend with them and even treat them as a nuisance. 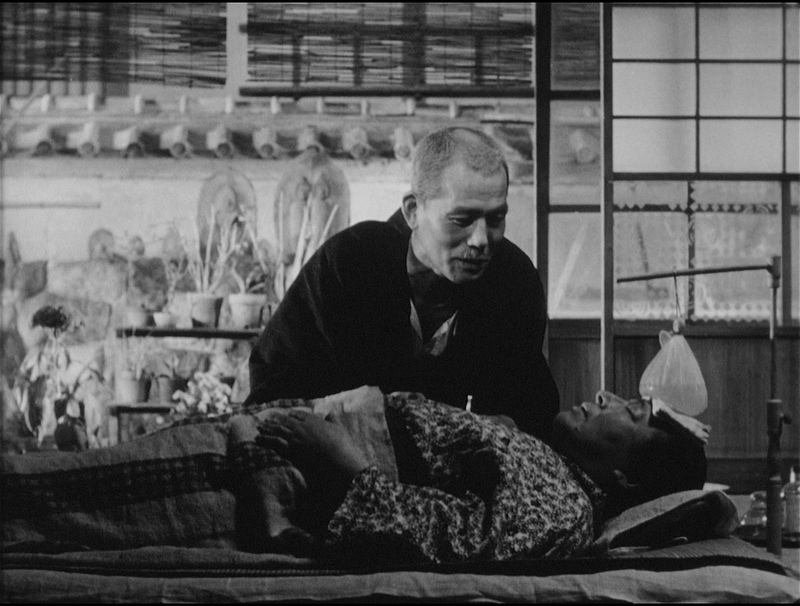 Rather than condemn any of his characters the way you would expect a Hollywood melodrama to do, Ozu’s patient, observant, non-judgemental eye sees the disintegration of the family as the sad but natural order of the universe. The heart of the film is the performance of Ozu’s favorite actress Setsuko Hara as Noriko, the elderly couple’s daughter-in-law, whose smiling countenance seems to radiate an almost overwhelming warmth and humanity. When one embittered character tells her that life is disappointing, Noriko’s resigned, smiling response is “Yes, I’m afraid it is.” Sublime. Robert Bresson’s swan song, as tight and compressed as a Ramones song, is a masterful update of Tolstoy’s short story The Forged Note. Bresson’s ingenious narrative follows a counterfeit bill, initially passed off in a shop as a schoolboy prank, which sets off a chain of events (an “avalanche of evil” in the director’s own indelible words) that ends with a young man murdering an entire family with an axe. 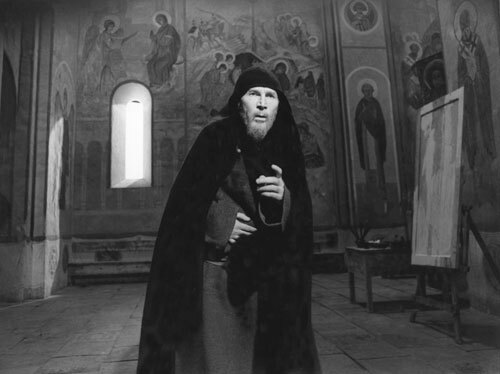 This vital, rigorous movie, made when the director was 81 but seeming like the work of a much younger man, is the ultimate artistic statement about the potentially destructive power of money. Carl Dreyer’s final film is an adaptation of Hjalmar Soderberg’s 1906 play of the same title and its deceptively theatrical character is also reminiscent of Ibsen (a protoypical feminist heroine) and Strindberg (the eternal conflict between men and women). But there are few films as truly and wonderfully cinematic as Gertrud, whose unique combination of stillness, slowness and whiteness is perfectly suited to capturing the title character’s near-religious view of romantic love as an uncompromising ideal. A lot of men seem to love Gertrud but none love her as much as she requires and so she chooses to live alone – without regrets. Unforgettable for its use of long takes (one of which clocks in at 10 minutes) and Nina Pens Rode’s luminous lead performance. The greatest western ever made is also the greatest American movie ever made. 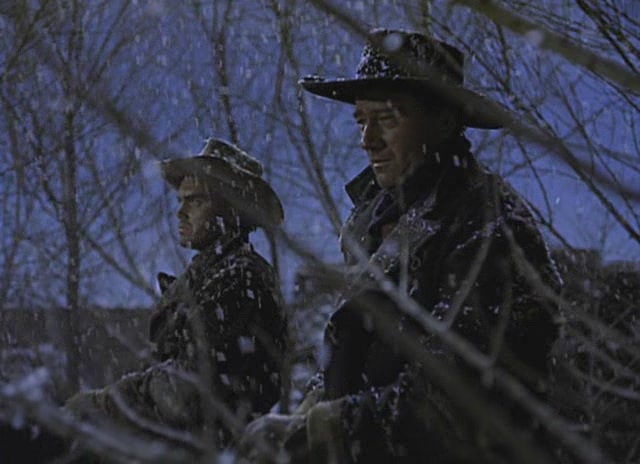 Before filming began, John Ford described The Searchers as “a kind of psychological epic” and indeed this complex take on the settling of the West, with its head-on examination of racism, finds an appropriately tragic hero in the character of the mysterious Ethan Edwards (John Wayne in his best and most nuanced performance). Spurred on by an unrequited love for his deceased sister-in-law, the maniacal, Indian-hating Edwards will stop at nothing to recapture his nieces who have been kidnapped by Comanche Indians. “We’ll find ’em,” Ethan says in a line of dialogue worthy of Melville, “just as sure as the turning of the earth.” The dialectic between civilization and barbarism posited by Ford, with Ethan standing in a metaphorical doorway between them, would have an incalculable effect on subsequent generations of filmmakers. Louis Feuillade’s ridiculously entertaining 7-hour mystery serial features kidnappings, daring escapes, slapstick fistfights, secret messages coded in an ancient Hindu dialect, “forgetfulness potions,” various forms of mind control, a mountaintop cliffhanging climax, and many, many badass disguises. It also uses an international espionage plot to reflect on World War I and allegorize contemporary French fears about the insidious nature of Bolshevism; the hero is a French explorer and his chief rival is an evil German doctor named Marx. The hero’s maid turns out to be a villainess who is secretly in Marx’s employ and one of the key title cards is another character’s incredulous exclamation that “Marx is here!” The entire espionage genre, including Fritz Lang’s Mabuse cycle and the James Bond films, have their origins here but Feuillade’s masterpiece remains the best movie of its kind. Edward Yang’s four hour epic about juvenile delinquents in 1950s Taipei marries the ambitious societal portraits of the 19th century Russian novel (one gang leader even references War and Peace, memorably calling its characters “swordsmen”) with the romanticism, iconography and intense identification with outsiders characteristic of a Nicholas Ray picture. In other words, the personal story (involving a troubled fourteen year old kid played by future adult star Chang Chen) can be seen as an allegory for the identity crisis of an entire nation struggling to define itself in the aftermath of World War II. I saw a 35 millimeter print of this over a decade ago and I emerged from the theater unable to speak. No moviegoing experience has shaken me more profoundly to the core than that one. 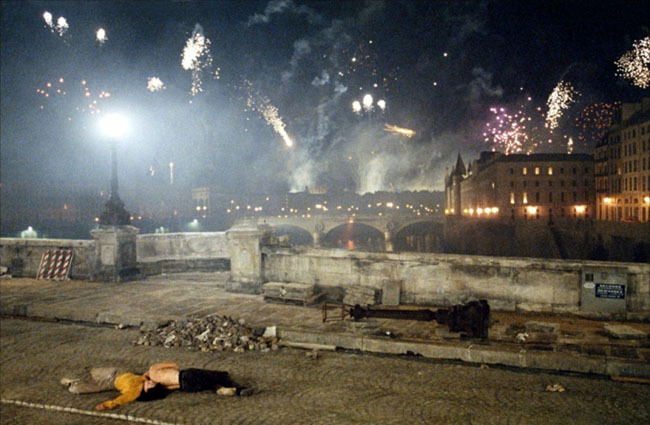 In honor of Valentine’s Day, today’s post concerns one of my favorite cinematic love stories, Leos Carax’s The Lovers on the Bridge from 1991. Leos Carax’s years-in-the-making, instantly legendary The Lovers on the Bridge (Les Amants du Pont-Neuf) was a scandal upon its initial release in France (the production went wildly over budget, becoming the most expensive French movie ever made up to that point) and sharply divided critics as to its merits. Cahiers du Cinema named it one of the ten best films of the year in 1991 but there were plenty of haters who labelled it pretentious and self-indulgent, predictably trotting out the old “style over substance” argument. 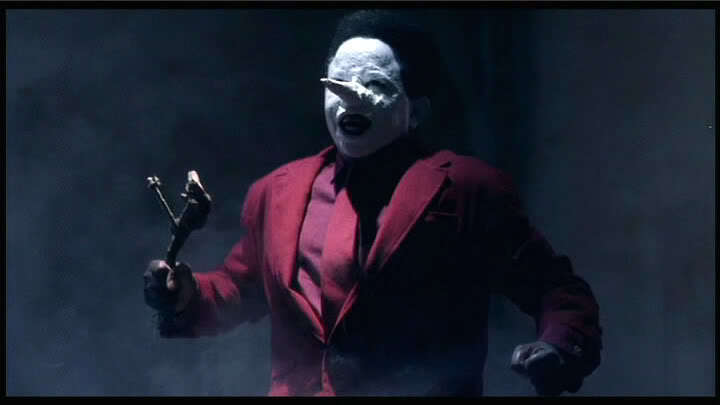 The film was virtually impossible to see in America for years because no distributor was apparently willing to pay the hefty price tag for North American theatrical or home video rights. By the time I finally caught up to a 35mm print courtesy of Miramax’s belated 1999 release, I had already worn out my bootleg VHS copy from the good folks at Video Search of Miami. Revisiting The Lovers on the Bridge today, I have no qualms about calling it one of the key movies of the 1990s, a tour de force of filmmaking that functions simultaneously as a love letter to the city of Paris, leading lady Juliette Binoche, and the cinema itself. 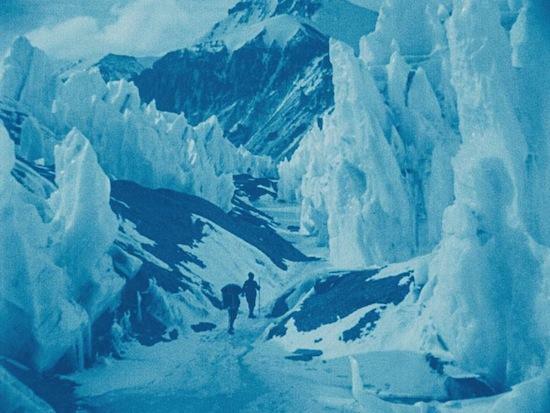 It also contains, thanks to the brilliant cinematographer Jean-Yves Escoffier, some of the most visually stunning passages in the entire history of the medium. Like all great love stories, the premise is a slender one: Alex (Denis Lavant), a homeless, alcoholic, would-be circus performer, meets and falls madly in love with visually impaired street artist Michele (Binoche), loses her when she retreats into the embrace of her wealthy, conservative father (who offers to pay for an operation that will restore her sight), and finds her again in a deliriously uplifting finale straight out of Jean Vigo’s L’atalante. The love affair is played out on the Pont-Neuf, Paris’ oldest bridge, where the characters live while it is closed for renovations. As the movie’s production fell behind schedule and shooting permits expired, Carax had to resort to filming scenes on a massive replica of the famous bridge that his crew build in the south of France, which caused the budget to skyrocket tremendously. The alternation between real locations and elaborate sets in the finished film is no drawback however; if anything, it heightens the dichotomy between realism and artifice that runs through the entire movie (apparent from the very beginning when professional actor Denis Lavant is seen interacting with real homeless people) and enriches Carax’s potent metaphor for the city-as-a-giant-playground. Lovers is indeed an outrageously stylized movie but the style, I would argue, is always pressed to the service of revealing something about the emotional lives of the characters. More specifically, I think the film’s greatness lies in its ability to find visual correlatives for the feeling of being in love. In scene after scene, striking camera movement, carefully selected color (dig the yellow! ), an ingenious use of locations (whether real or constructed especially for the film) and the choreography of the performers all combine to convey feelings of euphoria or despair, depending upon the mood of the characters. 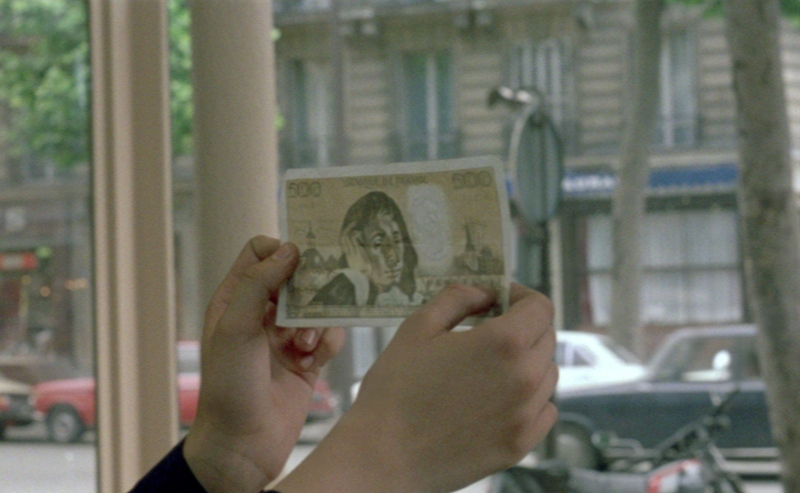 This image-based approach to storytelling caused French critics to initially lump Carax together with Luc Besson and Jean-Jacques Beneix under the umbrella term of “Cinema du Look” in the 1980s. But unlike his contemporaries, whose approach seems more influenced by MTV, Carax’s imagery harks back to the silent cinema as well as the most poetic movies of the early sound era (such as the aforementioned L’atalante), many of which Carax liberally quotes from. 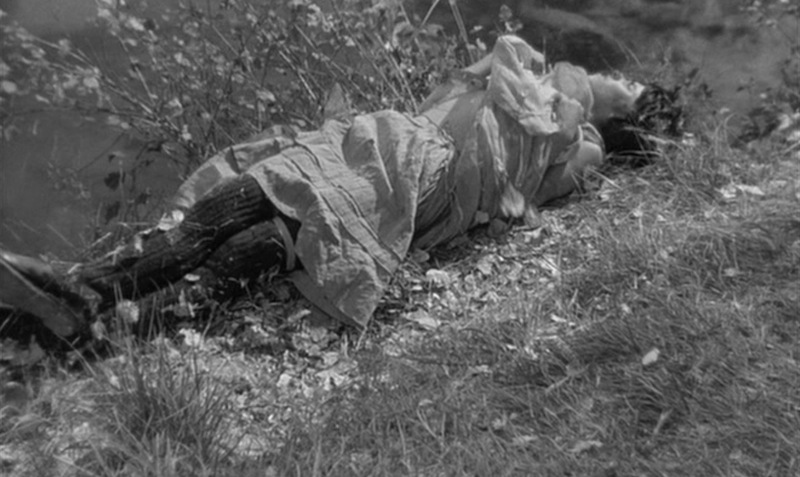 In addition to Jean Vigo, his main influence in The Lovers on the Bridge appears to be F.W. Murnau, whose Sunrise similarly attempted to whip up an intense visual frenzy by depicting scenes of urban life in a highly impressionistic and romantic fashion. The city, Murnau and Carax both remind us, can be a place of terror and magic, ugliness and beauty, loneliness and vibrancy, all at the same time. There is therefore no more fitting backdrop for a story revolving around the tumultuous emotions of young love. There are impressive moments of visual poetry in some of the subtler, quieter scenes as well. The movie’s third most important character is Hans, an older homeless man from Germany played with great authority by veteran theatrical director Klaus-Michael Grüber. Hans is a father-figure to Alex and he resents Michele’s intrusion upon their lives on the bridge. Hans is hostile toward Michele because he knows that she comes from an upper class background and, unlike them, is homeless by choice – an interloper in their world. However, as time goes by, Hans develops an affection for Michele in spite of himself, a feeling that reaches its apex in a scene where he grants her wish to see a Rembrandt self-portrait in the Louvre. Knowing that Michele’s eyesight is failing more and more every day, Hans helps her to break into the museum in the middle of the night and allows the nearly-blind woman to see the painting by holding a candle only inches away from its surface. According to Carax, this shot could only be achieved when the Louvre security guard who was watching the production relieved himself momentarily to take a leak. Whether that story is true or apocryphal, it reaffirms my impression of the director as someone who is fully committed to going to foolish and even reckless lengths to capture images of astonishing and improbable beauty. The Lovers on the Bridge is Leos Carax’s third film out of only four total in a career that spans more than a quarter of a century. Holy Motors, his long-awaited fifth movie (and the first since Pola X in 1999), is currently filming. Let’s hope production doesn’t drag on for years. The Lovers on the Bridge is available on DVD in North America in a serviceable edition from Miramax Home Entertainment but for such a visually stunning film, the image quality leaves much to be desired. 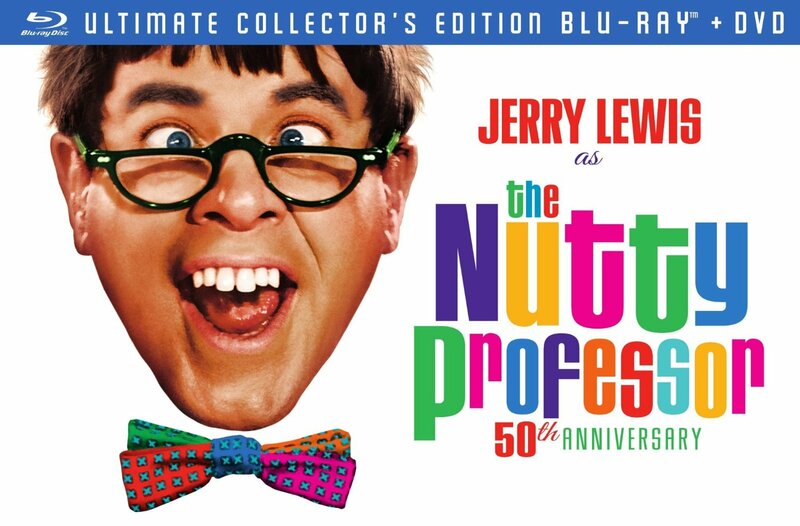 An immaculately transferred Blu-ray edition would be very welcome. I recently screened F.W. 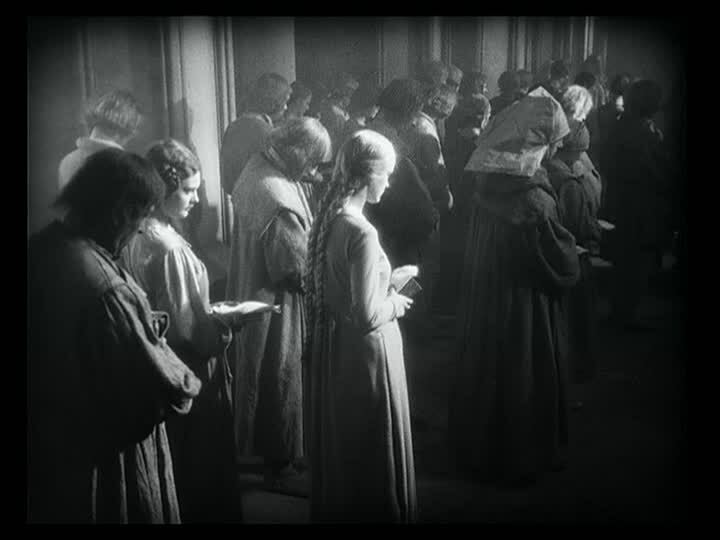 Murnau’s Faust in a class for the first time and found myself enjoying it so much that I couldn’t believe I hadn’t shown it earlier. 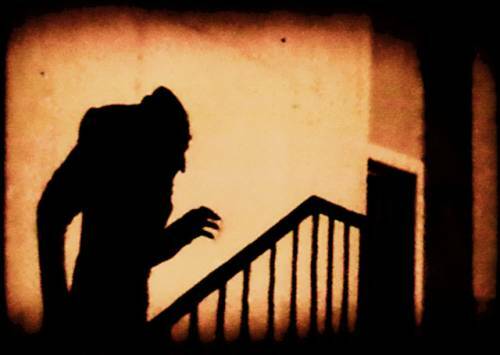 In the past 3+ years that I’ve been teaching film history, I’ve mostly alternated between screening The Cabinet of Dr. Caligari, Nosferatu and M in order to illustrate the German Expressionist movement. 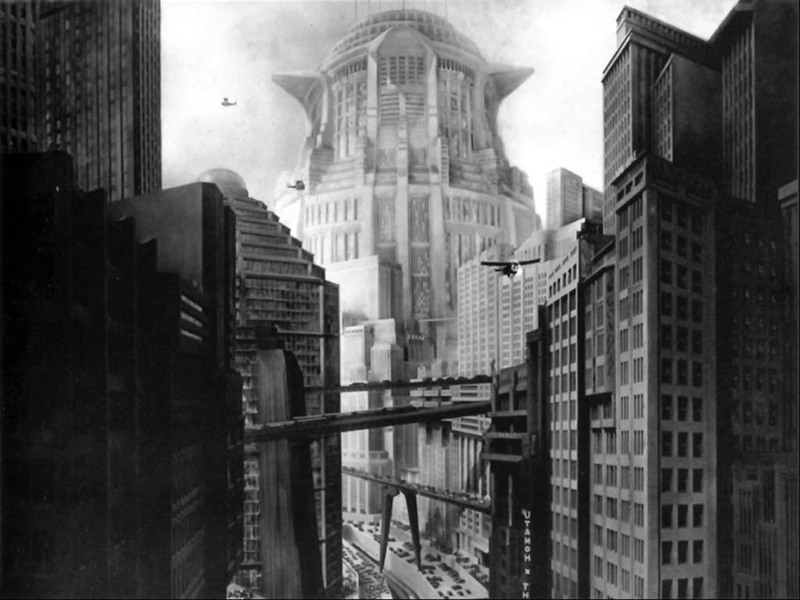 (I’ve shown Metropolis only once due to its length.) 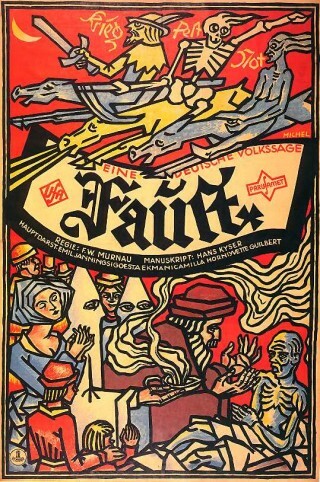 Watching Faust with a group of students for the first time has convinced me it’s not only one of the greatest of the Expressionist films but also the masterpiece of Murnau’s German period. 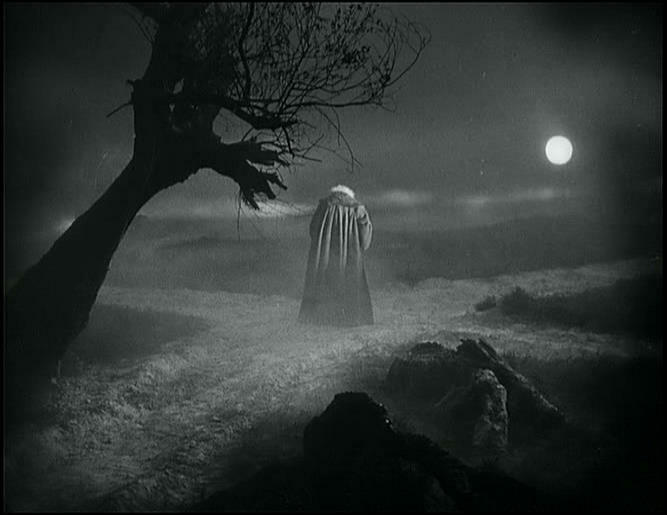 As much as I love Nosferatu and The Last Laugh, Faust is more visually astonishing and elaborately conceived than either. 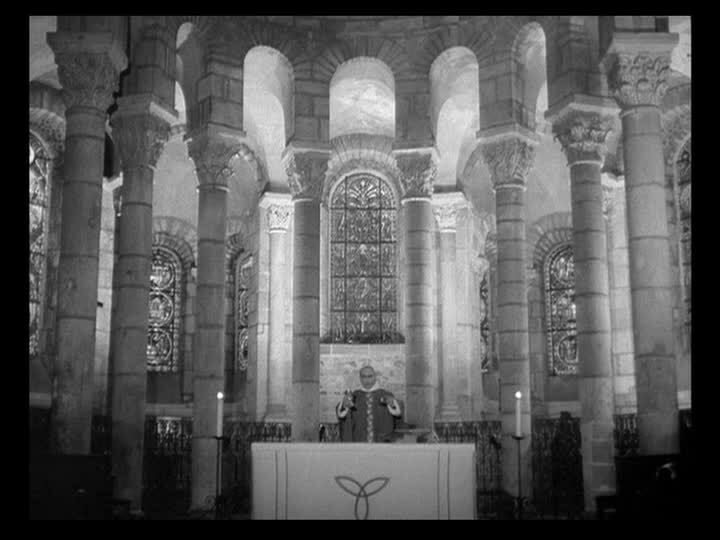 Anyway, it just so happened that I screened Faust shortly after having watched Eric Rohmer’s Six Moral Tales for the first time in many years. 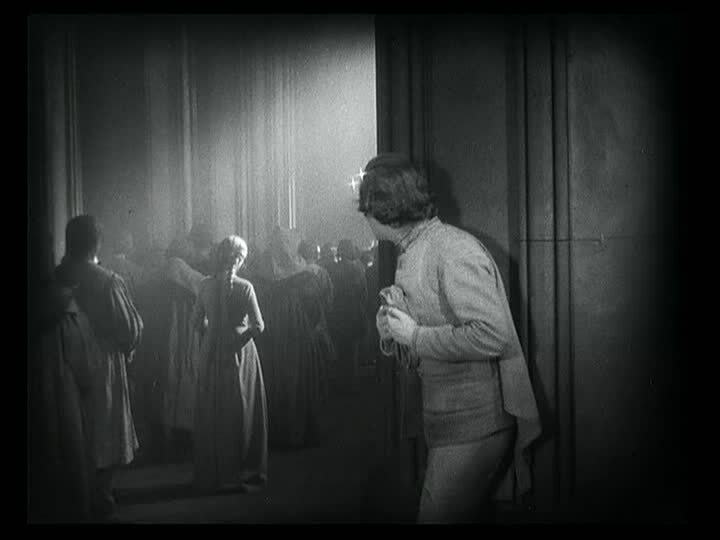 I was absolutely astonished to realize that the church scene in Faust (where Faust spies for the first time, and falls in love with, the “innocent girl” Gretchen) was the clear inspiration for the opening scene of My Night at Maud‘s. Then I remembered that Rohmer had written his doctoral dissertation on Murnau. 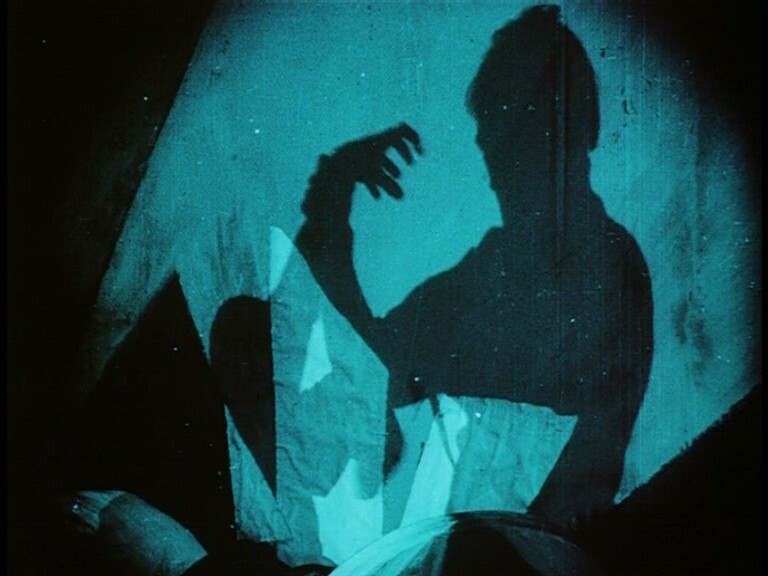 The title of the dissertation is The Organization of Space in Murnau’s Faust and concerns Murnau’s extreme formal precision, a quality that the two otherwise dissimilar directors share. 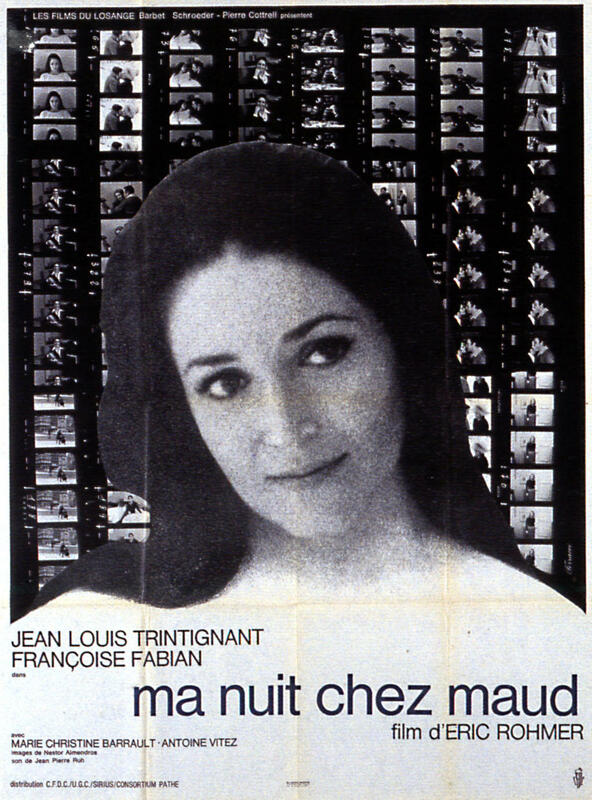 I love Rohmer’s claim, in the quote above, that no film has left as “little to chance” as Faust not only because Rohmer also left so little to chance as a filmmaker but also because chance is the explicit subject of My Night at Maud’s. Finding secret correspondences like this between films made in different countries and different eras is one of the most gratifying aspects of cinephilia. I haven’t been this excited by such a discovery since I realized John Ford visually quoted a shot from The Last Laugh in Four Sons.